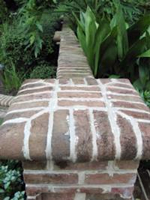 Old Carolina Brick has preserved the ancient art of making brick by hand. Although our operation is modernized and automated, we have kept the process of throwing the clay by hand into wooden moulds. Our skilled mud throwers form a clump of clay into a wedge shape, roll it in sand, and drop it into a wooden mold. 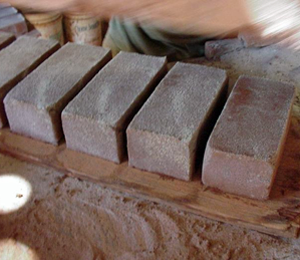 This hand moulding operation imparts distinctive folds, finger marks and other surface irregularities which make each brick individually and uniquely characterized. 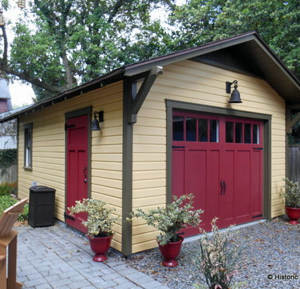 With our vast knowledge of metalwork throughout history, Schiff Architectural Detail provides in depth case studies. Architects, Municipalities, Historic Societies, Preservation Groups, Cemetery Associations and Colleges have all sought our council, advice and recommendations for restoration and conservation of existing structures, such as monuments, fencing, fountains and urns. Schiff Architectural Detail specializes in the design, fabrication, reproduction and restoration of architectural and ornamental metals. One of our most sought after products, the "Century Metropolitan Ball, Cap & Rail System", was first developed 25 years ago when Schiff began repair and reproduction of the Ball, Cap & Railing attributed to the Great American Landscape Architect Fredrick Law Olmstead. Today, Schiff's Century Metropolitan Ball Cap & Rail System is widely used throughout the Northeast. 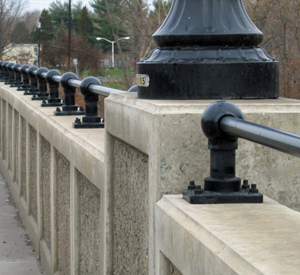 It continues the original concept of design flexibility and simplicity, but is executed and finished in modern durable materials to a strength that qualifies it as a bridge rail per Federal DOT Standards. Century Metropolitan is often a NJDOT specification for pedestrian bridge rail. It also serves well along piers, marinas, streetscapes and parks.